Oval DIRT The Gateway Dirt Nationals track layout: More banking in 2018? 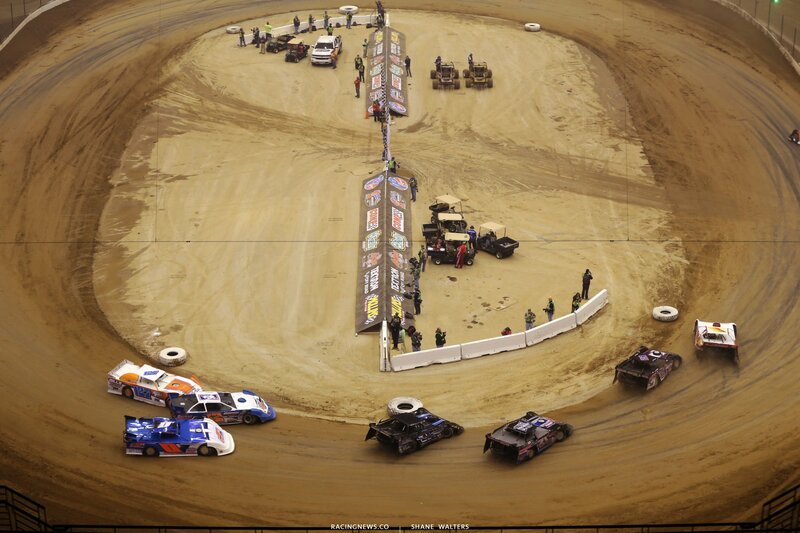 The first year of the Gateway Dirt Nationals saw a track that was hooked up and full of moisture. Holes in the surface sent cars flying through the air down the front straight while still on the throttle. It was a tight track which forced a lot of brake to get the cars to rotate. The second year was very different. First, the track was widened by about 10 feet on each side. A lip was installed on the inside of both turns which mostly prevented cars from using the concrete to circle the track. In addition, the track was slick as ice. I didn’t know you could take a track that looked so similar and make it drive so differently. With how slick it was… Was that the goal? And you can’t really get it back at that point? “No. We need a water vac so to speak,” Gundaker says with a laugh. What about the size? Did you like the size better? I like both of those tracks. I still see them as two completely different race tracks. I liked elements of each. But, I’m not thinking I liked the wider version. I think it turned into a bit of a circle and took out the braking zone at the same time. I thought that was one of the coolest and most unique aspects. Because, every once in awhile they’d mess it up completely. 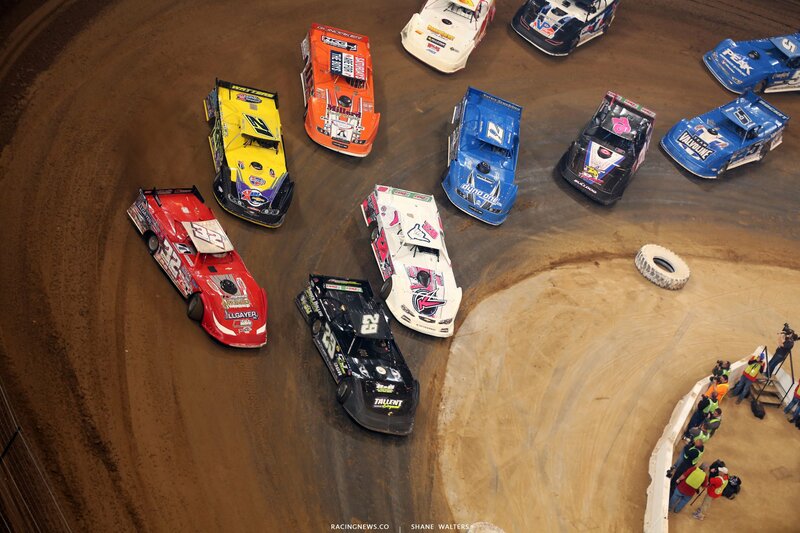 They’d take too much of the berm or skip over it and have to get out of the gas. I think that’s a good thing when drivers mess up and make mistakes. What direction are you thinking? What about the braking zone? I feel like the wider version took out the braking zone which is another way of saying a passing zone. When you drive those tractors over there do you have to get some kind of permit or something? Is that legal? I’m from the city. So, I’m not sure about farming laws. 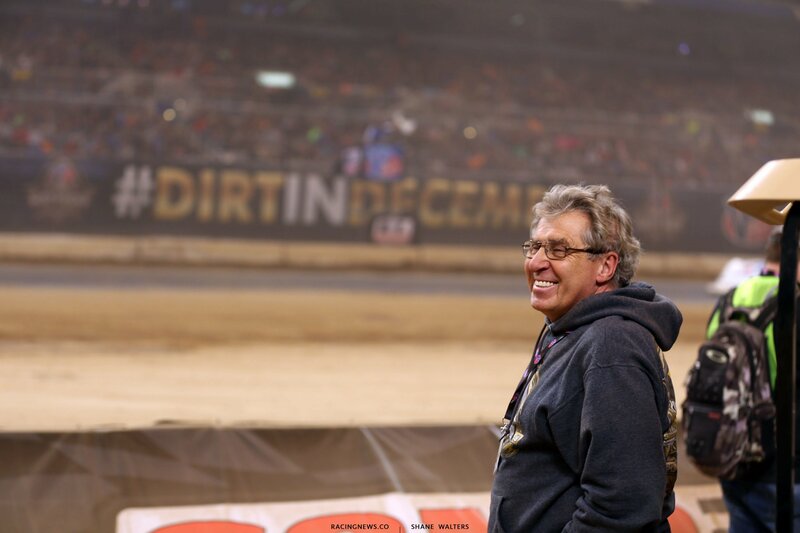 For 2018, the Gateway Dirt Nationals is now a bigger show. In addition to the Late Model / Modified program. They have also added dirt midgets to ticket. 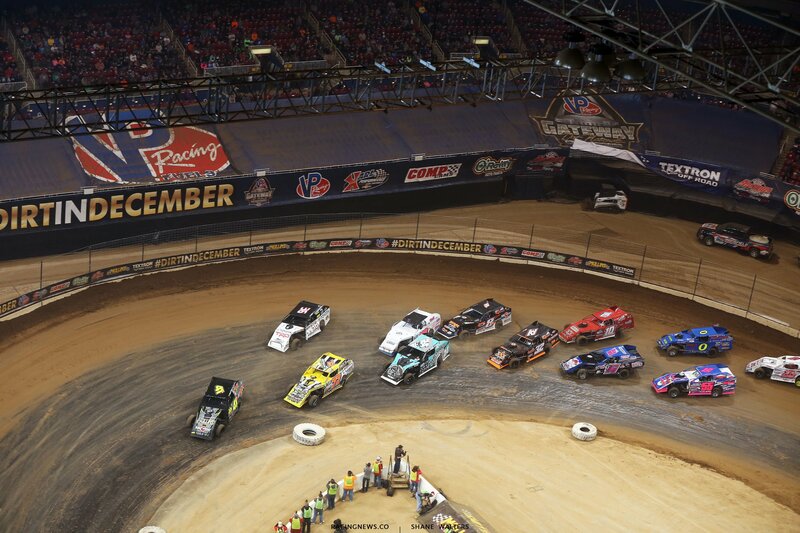 The race inside The Dome will run from Thursday (Nov 29) – Saturday (Dec 1).